At Brown Sugar Kitchen in Oakland. And I thought I was a foodie! Just had the best mac&cheese until now at Citizens band in SF. What a classic combination, that mac and cheese literally looks out of this world. OMG do you eat that many calories in a meal? That’s so guyish and wrong. This looks scrumptious! What a beautiful meal! 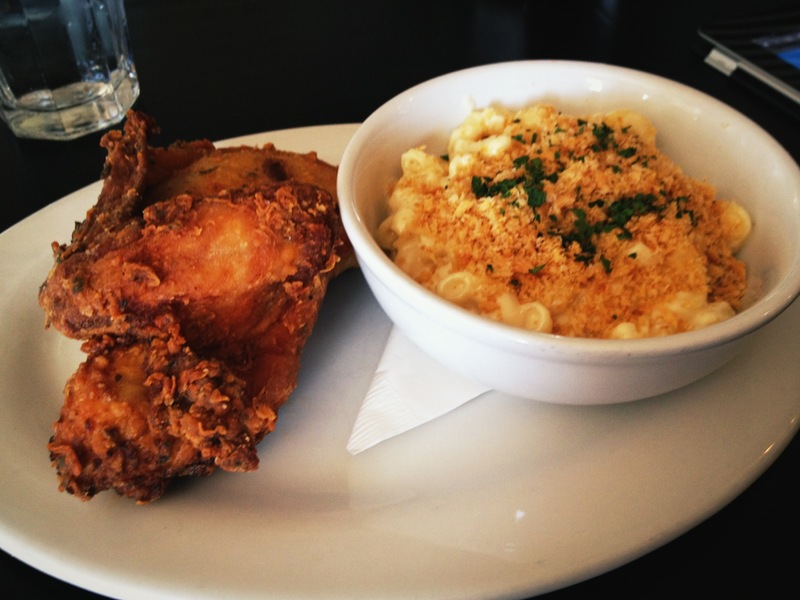 The breading over the macaroni looks delicious, & the chicken looks really good too, even though fried foods aren’t all that healthy. What an unusual name for a restaurant!